I need to confess to having a closet interest in Science. Many of the pupils I have taught would be horrified, given how much time I spend in my classes decrying it as the irresponsible obsession with throwing things off cliffs or buildings and timing the descent. But as many flaws as Science has, it is an honest attempt to understand the world and our place in it. Like any such attempt, though, the questions you ask limit the answers you are able to find. If you ask the wrong questions, you cannot arrive at a proper understanding of the matter under investigation. Take the study of light, for example. In the 18th and 19th Centuries, Newtonian physics (I’ve probably already lost half my readership!) understood light to be comprised of particles, based on how it reflected and refracted off other surfaces, like water or mirrors. In the last century, it was thought to be a wave. 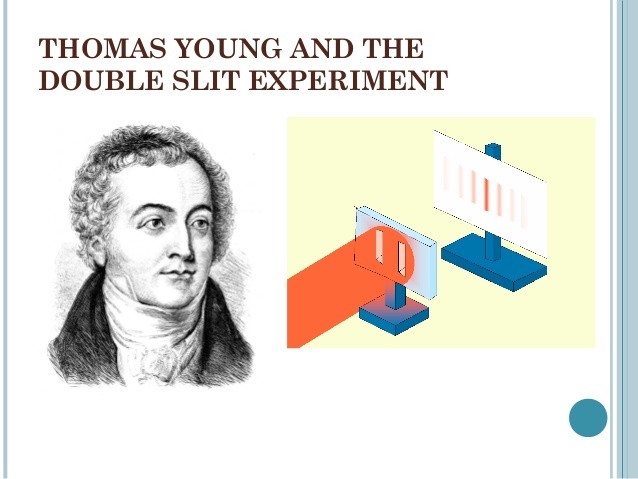 If you remember any of your high school physics you will remember an experiment to test this, which I have seen performed and failed in countless school laboratories: Thomas Young’s double slit experiment (see diagram below). Nowadays, light is believed to consist of photons. But I am not going to bore you with science. My point is that as long as the questions being asked about light were rooted in a paradigm of either particles or waves, we could not understand light properly. In the same way, I think we suffer unnecessarily because the questions we ask about God are rooted in morality and not love. I am sometimes (not always) privy to the search terms by which readers arrive at this blog. One of the most common searches leading readers here is “Christian hypocrisy”. That saddens me for a number of reasons. It saddens me that so many have been hurt by those who should really know better. It saddens me, above all, that so many – both the hypocrites and those hurt by them – might never come to understand the real beauty of Christianity: that we are loved. Hypocrisy is deplorable. Unfortunately it is also unavoidable. People will always fail to live up to the ideals they espouse. We are, as the saying goes, only human. I am not defending hypocrisy, but I do believe that the issues surrounding it, certainly where Christianity is concerned, are asking the wrong questions. To all detractors of Christianity, I have written on the topic before, and would caution against judging the value of a philosophy by the failure of its adherents to apply it. Even so, while hypocrisy should always be reprehensible, and while there is no justification for the hurt it causes, it ought to be noted that hating religion on the basis of hypocrisy implicitly attributes the value in religious activity to human behaviour, and not to God’s love. Unfortunately, the mistake is understandable: that is also where much of what comprises modern Christianity has put the emphasis. We value being good over being loved. We cannot fathom what it means to be loved unconditionally and so we impose the conditions we believe a just God would: moral perfection. And then we judge ourselves and others by those impossible standards. I have learnt to accept that I am not good. I accept my hypocrisy. Please do not misunderstand me. I do not like that about myself. I do not justify it or condone it. I sometimes make choices that deliberately and consciously violate moral laws. We all do. I do wish I could be perfect. I really wish I could be good, and I will try to be. But I am not. And I will not hide that I am not. Not out of pride in that fact, but because it is the most honest thing I can do with it. At least this way all those desperate for grace will see that God’s faithfulness trumps my failings every time; that His love is not conditional on moral perfection; that He can use a very deeply flawed and scarred human being to show – in some imperfect and limited way – the overwhelming recklessness of His love. Perhaps if those who encounter me don’t have to cut through pretension and scratch away the false veneer of self-righteousness, they will be able to see God’s fierce devotion to humanity for what it is. The emphasis should never have been on my goodness or lack of it, but on the love of God that does not condition itself upon my worthiness. Christian friends, free yourself from the burden of needing to be perfect. You will never be. It is a trap. As long as you place the emphasis on morality, you cannot love yourself or others properly. You will find yourself falling short time and time again. Deliberately so sometimes. The standards you judge yourself by will be the standards by which the world will judge you too. And they cannot but see you as a hypocrite then. As a result, they will fail to see God’s love and grace, just as you do. Don’t hide your imperfections, unless doing so would hurt others. That, anyway, is the criterion by which I share or refuse to share my own shortcomings. Don’t be proud of them, but don’t be afraid of them either. If you are a good steward of your own failures, you will stay humble, and you will allow others to see the magnitude of God’s grace. He is God. His work is not dependent on your worthiness to perform it. The beauty of the gospels is this: that God loves us. Not that He spared us, but that He loves us. Completely and without reservation, even while we are sinners (Romans 5:8). So by all means, try to be a better person. That is the way to a more fulfilled life. But don’t make trying to be good the focus of your spiritual energy. Focus on being loved. Try to understand what it is to be loved unconditionally by a Father who does not require that you earn his affection. When we finally start asking the right questions of God (I would discard ‘What do I do to gain eternal life?’ in favour of ‘What does it mean to be loved by God?’), and we see ourselves and others in the light of His love and grace, maybe then we will be able to mitigate the effects of our inevitable hypocrisy.